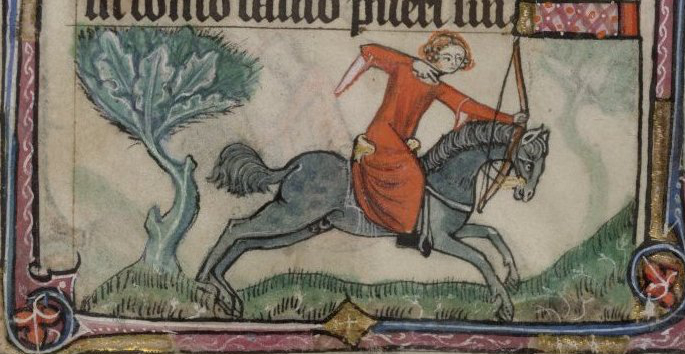 When talking about hunters in medieval times one easily get into the assumption that it was a male domain. When we look closer that theory does not appear to hold water. 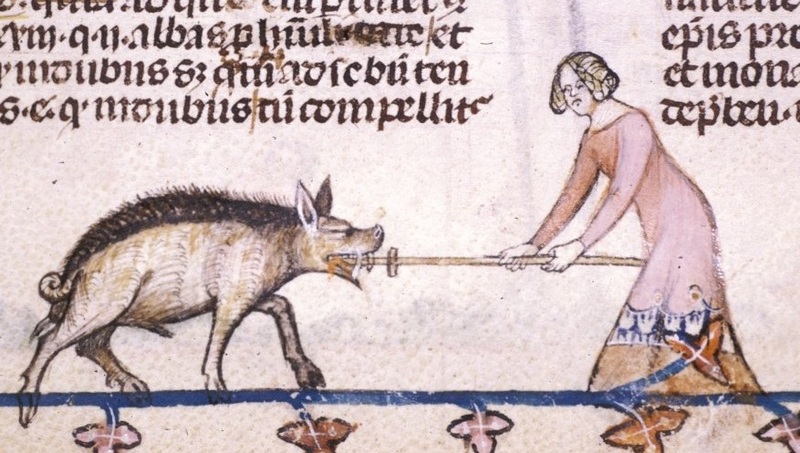 The medieval literature is ripe with women hunting, they appear in illustrations doing all kinds of hunt. It is always a possibility in cases of illuminations, that the pictures are meant to be allegorical. But most of them seems to just depict women out hunting. It would seem that this is nothing unusual in the eye of the 14:th century person. So if this post gets quite pictureheavy, it is because I wanted to show the plethora of pictures of women hunting, that its not just in one odd book, but a wide representation. 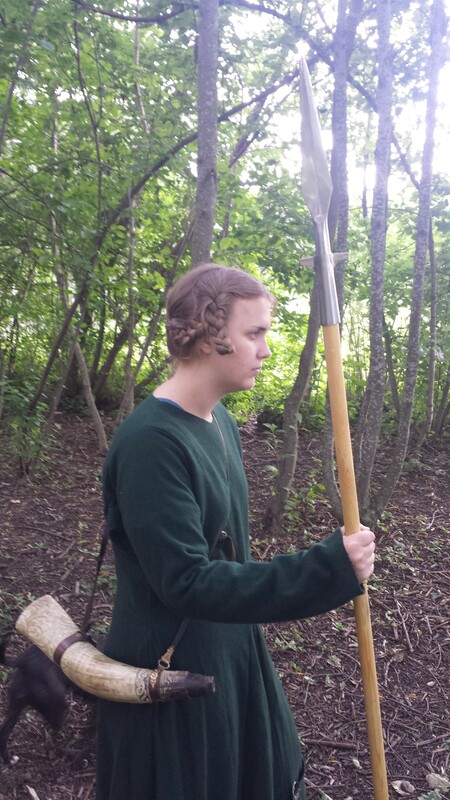 Here we se a confident noblewoman riding out with her raches afoot and the typical hunterscap on her head. 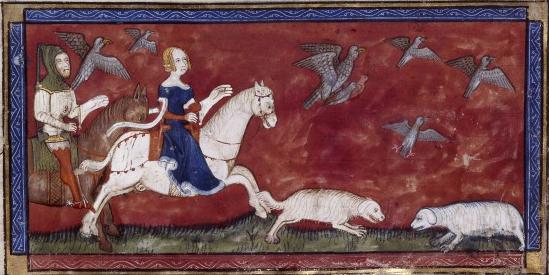 A squire carries her falcon. This is indeed a caption of the good rule. What kind of hunting did they do? Looking at the pictures it seems that hawking and rabbithunting was a preferred method of hunting for women, although it does not seem to be exclusive in any way. Females are depicted as doing all parts of the hunt and all kinds of hunt. In Les livres du roi Modus et de la reine Ratio two women argue witch hunt is the most noble; Hawking or Hunting with dog. Both women holding forth their way of hunting. So, it doesn’t look like the women favoured the less ‘dangerous’ hawking before the more dangerous hunt with horse and dogs. Although its oddly enough just in Hawking you see parties of mixed men and woman. In texts though there is mentioning of man and woman riding the hunt together. one exception being this lovely ivory panel from Paris 1350. showing a woman in the midst. Also shows falconers riding together with hunters. Possibly this is a general celebration of the joy of hunting. Currently in the Metropolitan museum. 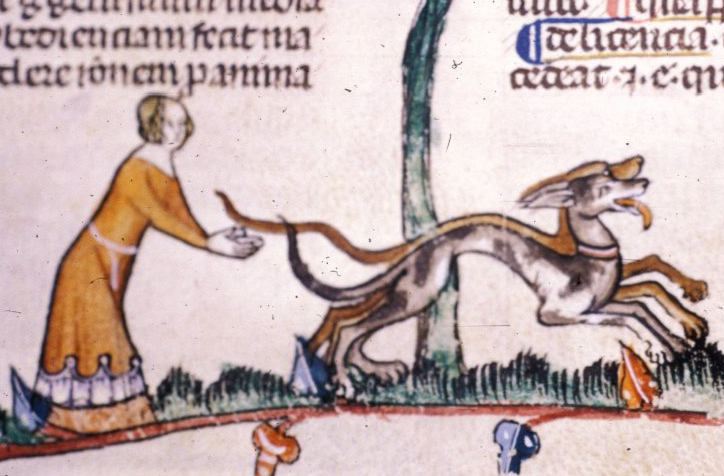 All in all, it seems that hunting was one of those few sports in medieval times where men and woman was allowed to participate on equal terms. In the huntbooks themselves the representation of women are halting. Les livres du roi Modus et de la reine Ratio there are some women depicted (more in some versions then others) and they appear in the text. Also half of the book is the allegorical Queen Ratio talking (granting that this is mostly a semantic feature). In Livre de chasse there are no women to my knowlege, and also not in Master of Game. But then we have the book of st. Alban. 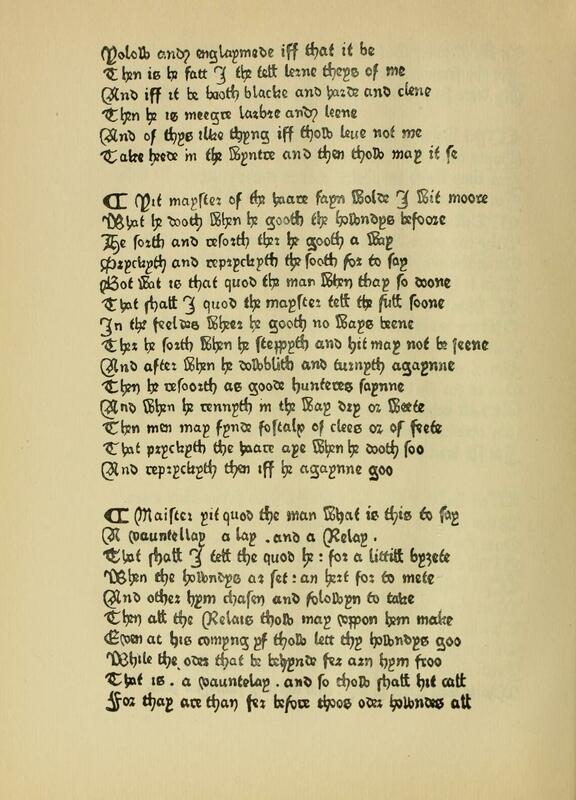 This book is printed in 1486 and consists of Hawking, Hunting, and Blasing of Arms. It consists of treatises of the subjects written at an earlier date. 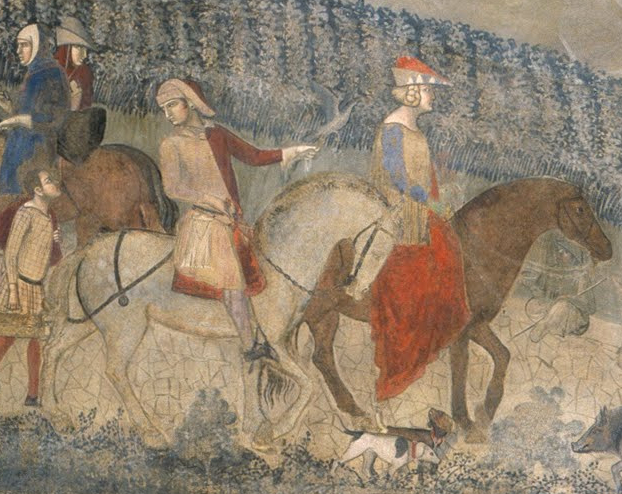 The part about hunting is widely attributed to Dame Juliana Berners, who herself probably based it on Le Art de Venerie of the huntsman Guillaume Twici. 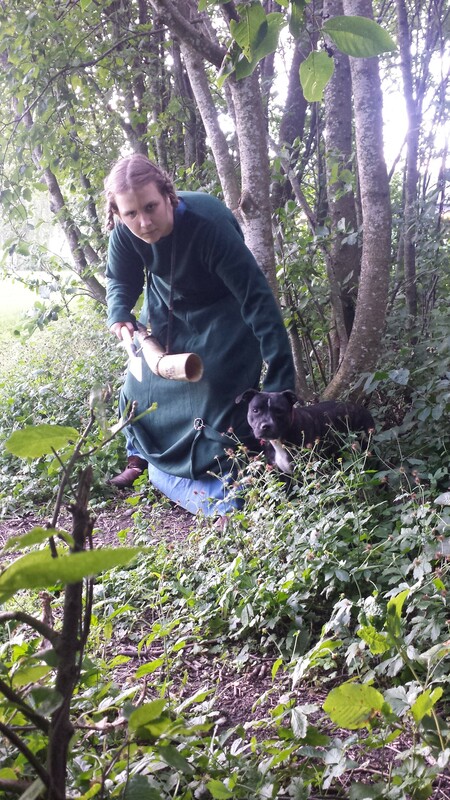 Being a prioress of Priory of St. Mary of Sopwell she is believed to have kept to her love of hunting (hunting clerics seems to be nothing odd…If we see to the monk in Canterbury tales for example). So, women are not invisible in the huntbooks, they are writing them. This is a hard nut to get into as most pictures display noble hunters, or at least seems to do so. It is not always easy to guess their class from the pictures. But the hunts that are mostly depicted are the hunts that nobles enjoy. Although, some of the actions taken, as slipping the hounds, was commonly done by huntsmen. In one version of Les livres du roi Modus et de la reine Ratio the part of the poor farmer that has only a small net, is depicted as a female waiting on the hare. It could be argued that if there is nothing stopping noble women from hunting, the same might apply for the less fortunate. Or the roles of the lower classes are less mobile. I have found no hard evidence, but lean towards the first. 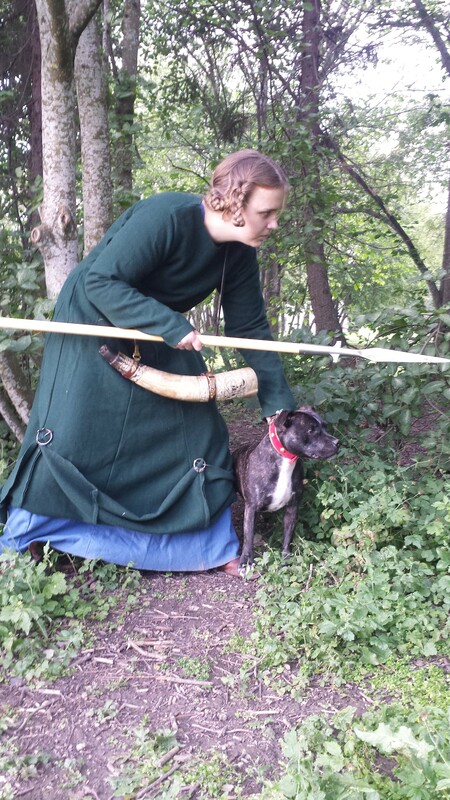 Just as male hunters, female hunters dress in the same clothes as is the fashion of the time. One thing that strikes you when looking at the illustrations though is that many women lack whimples. Some have donned the hat of the hunter (the Robin Hood classic) but most seems to prefer hunting with their hair snuggly braided. Whimples will of course be in the way of both hearing, and catching onto branches, so the preference is understandable. When riding the hunt I expect it might be outright dangerous to get caught in underbranches with a whimple. There is no depiction of a woman wearing hose and Cotte though, even if one could argue that a dress is as hindering as a whimple out in the woods. 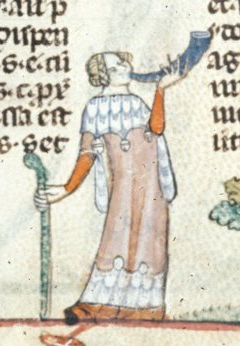 Some mentioning should be made about some pictures in British Library’s MS royal 10 E IV. Here we see a dress with an odd hem. It shows furdepiction and on the top of the tips there are some kind of round…things. We have mused around this dress quite alot and have had an idea that it is an uppturned overdress. If we look at the picture to the left we see that the dress has tippets in the same furlining. This might show that the inside of the dress is furlined at that it has been uppturned and fastened in those round things. It could also mean that it just have a wide fur brim with some round ornaments on top. We think it might be the first option tough, as the dress seems to be shorter then the one under it. If this has any practical use or if it is just a fashionstatement, I can not say as of yet. maybe some testing in the field will answer that.